Changes in humidity can directly effect the comfort and quality of your home and the air you breathe. 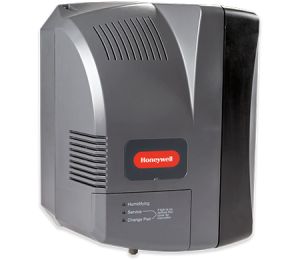 Control your indoor climate with Honeywell humidifiers and dehumidifiers. The versatile design of TrueEASE™ humidifiers allows for installation in any home, including town homes and condos where it once was impossible. Moisture leads to humidity, which leads to being uncomfortable in your own home. 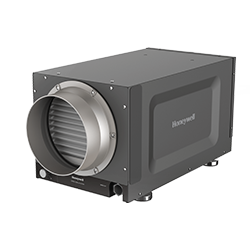 The TrueDRY™ DR65 Dehumidification System can help. 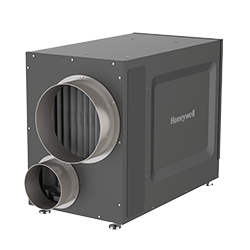 It’s a whole-house dehumidifier that can remove up to 65 pints of moisture per day from the air and replaces it with fresh, filtered air. 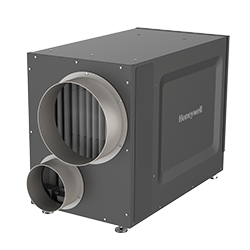 You can dehumidify the whole house or a certain area. 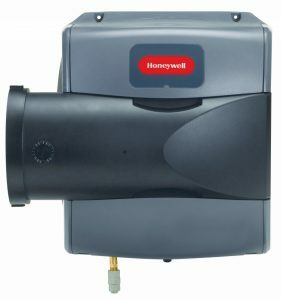 Everything about the dehumidifier makes it homeowner-friendly. Unlike portable units, it’s not out in the open. It’s also super quiet and efficient. Maintenance? Minimal. The dehumidifier drains automatically. Remove 90 pints of moisture a day. Goodbye humidity. Hello comfort.